I have been meaning to share this project for awhile. It isn't a simple or quick one, but I love it! 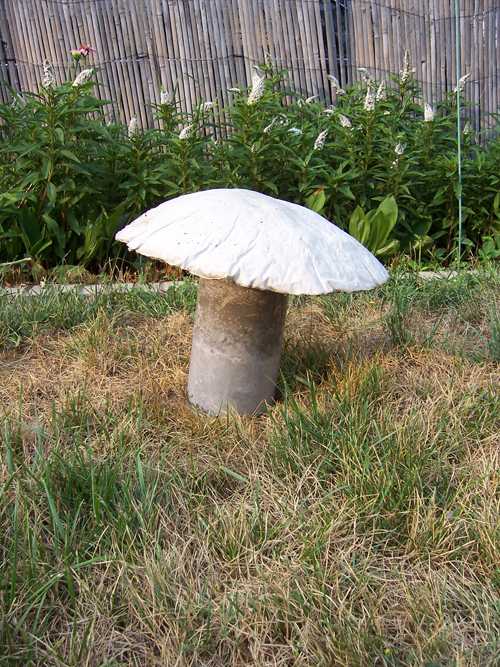 It is something my mom and dad taught me how to make... cement mushrooms. 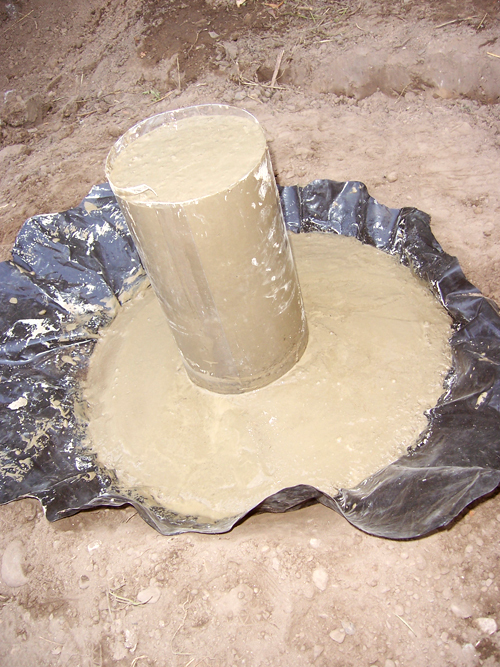 When I was a kid, we always seemed to be pouring cement for one thing or the other. Clothes line posts, porch, etc. My Grandpap even had a little portable cement mixer we used. 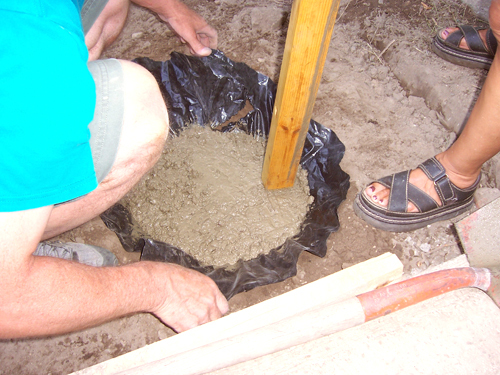 When my parents helped us build the patio at our old house we had some leftover cement and they showed us how to make the mushrooms. 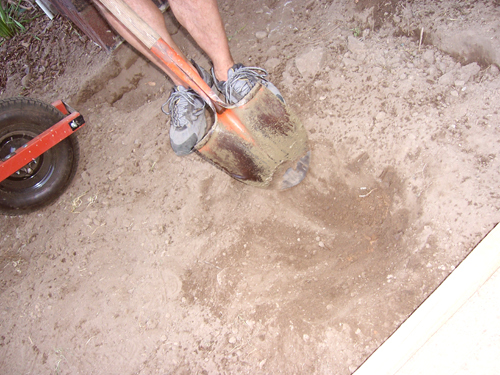 First dig a hole sorta shaped like the top of a mushroom upside down. 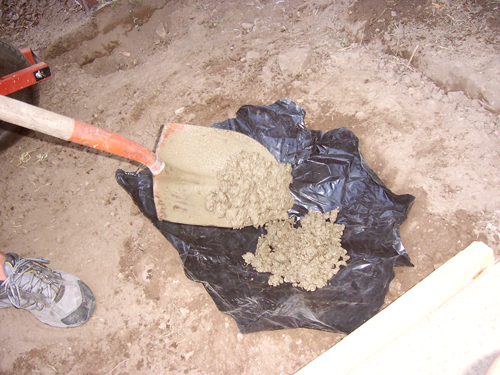 Place a plastic garbage bag over the hole and fill it with cement. Tap the cement down and smooth it out. Cut the top and bottom off of a plastic liter soda bottle and place it on the concrete top. Fill that with concrete. Let it dry and tah-dah! 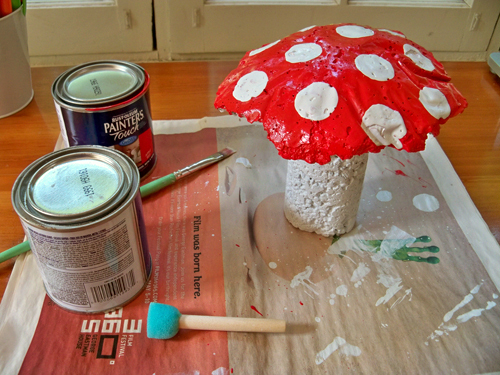 We made different size mushrooms with different size plastic bottles. This summer I have started painting them white and red. They look so cute sitting outside with my plants. Love this idea!!! So cute! I am SO doing this! Thanks for sharing! Have to make them in every color! Love, Love, Love! Great idea! Gonna do this with my husband for our backyard! Thanks. 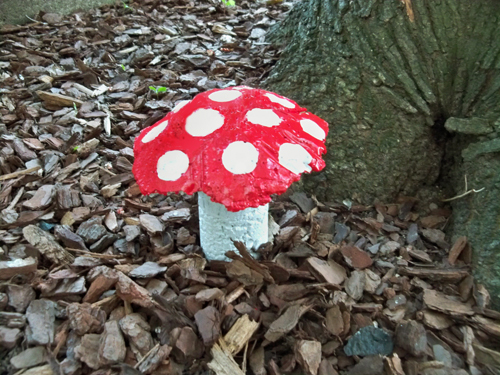 This is the best garden mushroom method I have seen so far. I am going to make some tomorrow and I especially like the idea of not having to use any artifical looking moulds except to reuse old plastic sheets. What a fantastic idea.